And while you know things are going to fall into place, you are tired. You’re realizing all this business is costing you…and not just money. While you were hustling to make your business dreams  come true, things in your love life have changed. You and your man aren’t getting along the way you  used to. You seem to be fighting more and you wonder what’s happened? You’ve devoted so much to building your business over the past few years, that how could you have had time to date, let alone find a man? Now you find yourself wondering, do you have to  choose between a partner and your business? 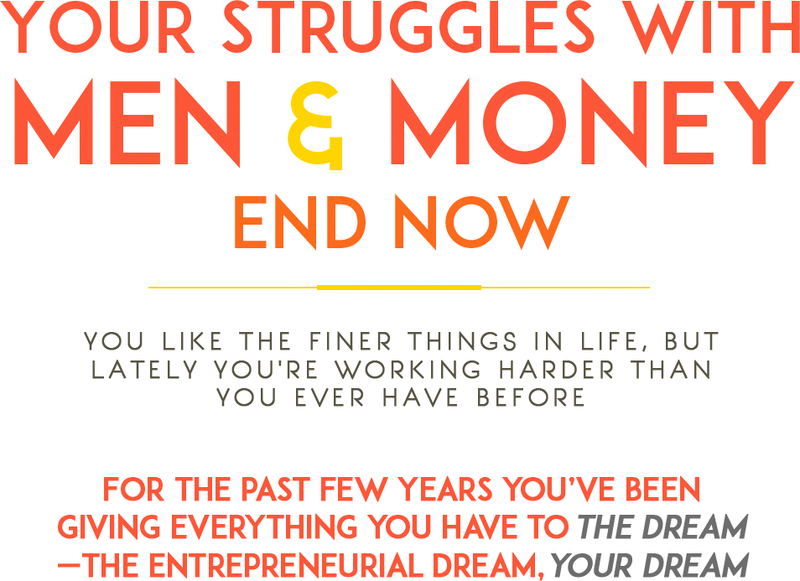 Will you ever find a man who is okay with the ups and  downs of an entrepreneur’s life? You know some men will detest the fact that you make  more, or that you’ll eventually out-earn them. Did you just spend all this time busting it to build a successful business and now you’re going to be alone? Increasing your wealth consciousness— improving your ability to make more money with ease. Finding the connection with your partner after a long day at work, and feeling supported, loved and having a safe place to land. Feeling stronger about your relationship with money and raising your vibration so that you make more. Experiencing the freedom that comes from knowing that you will never worry or fight about money again. How many times have you and your partner disagreed over money or financials related to your business? What would it mean to never worry about money again? 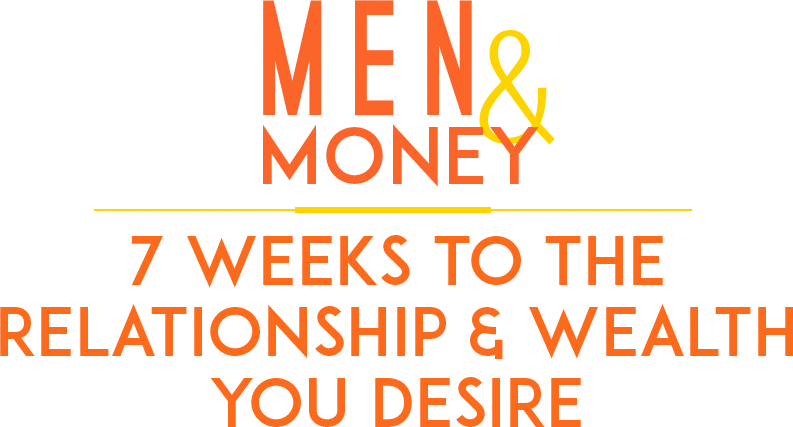 You would be able to experience deeper relationships, make more money and feel secure in your business and femininity. For the past five years Gina has been asked the same question over and over. How did she and her husband Glenn build a multimillion dollar business and a loving supportive relationship at the same time? with the love of her life. What’s the point if these women end up alienated from the best relationship of their life? That’s why Gina and Glenn sat down and decided to share everything they know in the Men & Money Program. And have a relationship that is real, supportive, and unlike anything you ever thought you could have. 7 90-MINUTE AUDIO TRAININGS WITH DR. GLENN A. SISK so you can understand the process they used to create their loving, lasting relationship. 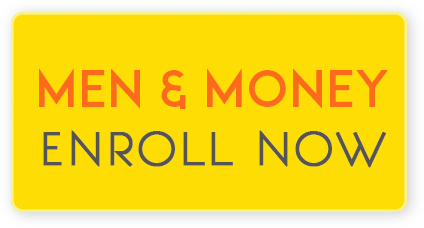 2 Bonus Audio Trainings from Glenn and Gina to keep working on your new relationship process and developing your own unique pleasurable experience. The Wealth & Love Workbook so you can not only master the process of transforming your relationship, but start using the process to make more money, too. Private Facebook Group to stay connected with other powerhouse couples. 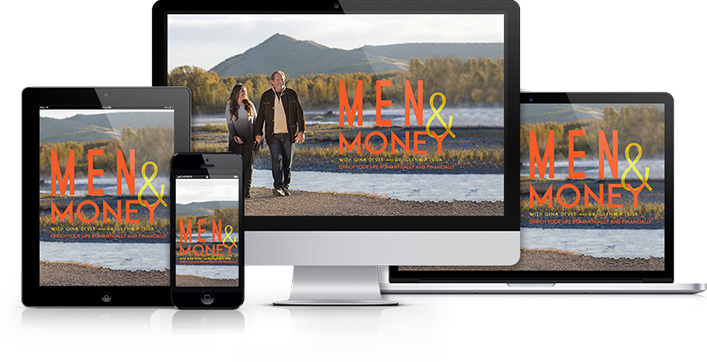 Your transformative roadmap to the exact same methods Glenn and Gina used to attract their soulmates and create a 7-figure business in record time. In this candid session, Dr. Glenn A. Sisk reveals what makes a man tick, and what a high-quality man REALLY wants in a woman. Gina’s unique process for manifesting the money you desire in a feminine way, allowing you to work smarter, not harder. Stay connected with a highly engaged, committed group here to support you in your financial and romantic uplevel. Listen to all 7 audio classes as many times as you need to anchor in your new awareness and create the relationship and wealth you desire! 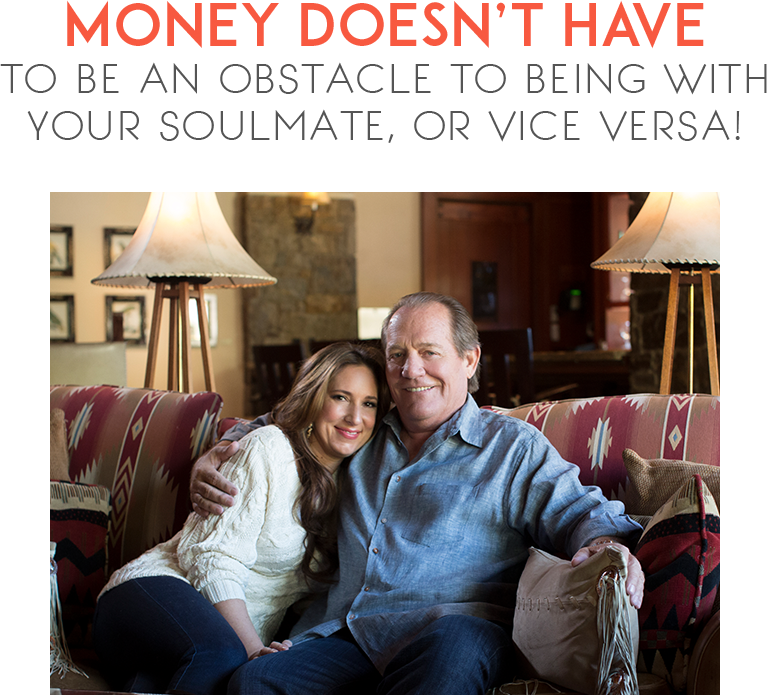 Before I called in my soul mate and created success in my business, I struggled for years feeling like true love and real wealth were just outside my reach. 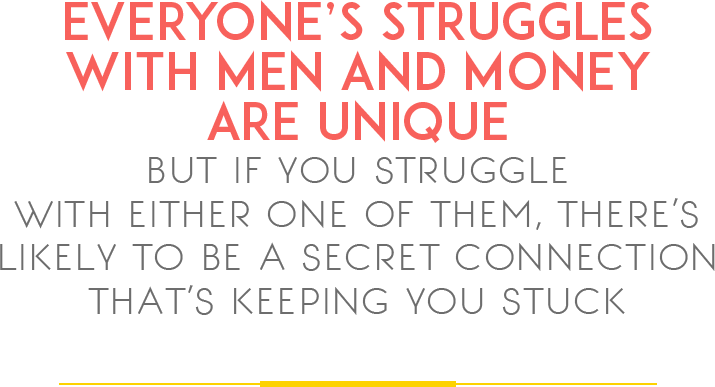 I’ve done everything one woman could possibly do wrong when it comes to men and money, and with this course I’ll teach you how to avoid all my past mistakes, and step into true love and wealth without the struggle. What I have to teach you are techniques that I’ve used with hundreds of clients in creating both the lifestyle and the business of their dreams. People in this community know that I stand for the AND, and in this program I want to stand for you to have both an intimate, dedicated relationship and all the success you’re meant for. Join me and let’s make it happen. ● Your partner gets to participate! 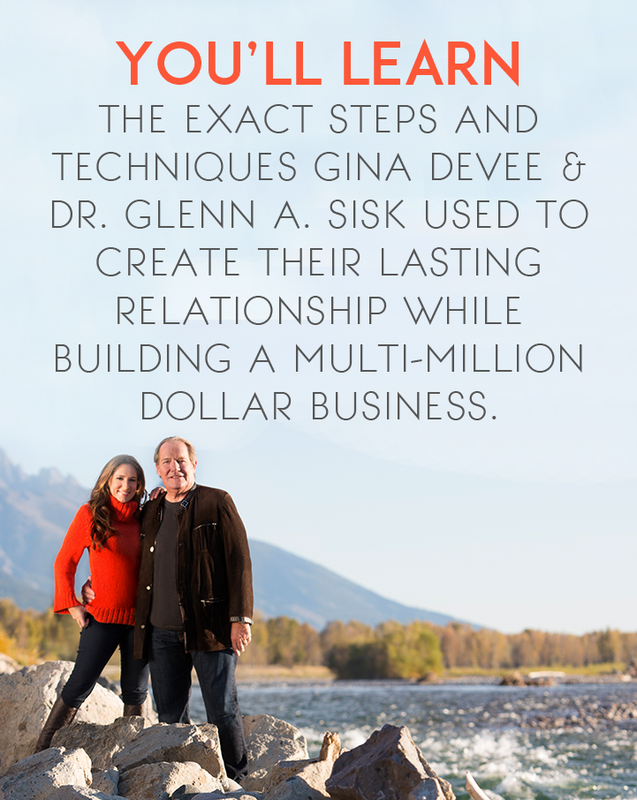 Gina and Glenn will share the techniques and awarenesses that enabled them to shift their reality, creating a healthy, lasting relationship while running a multi-million dollar business. 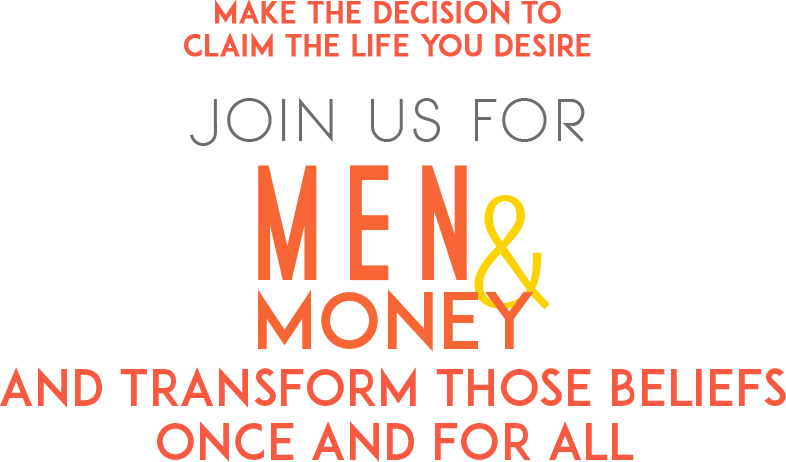 for a woman when she has both the relationship of her dreams, and the financial freedom to support her dreams. We’re here to support the right decision for you.